KARACHI: Stocks bounced back with a bang as the KSE-100 index surged over 1,300 points in intra-day trading, powering past the 39,000 mark. Investors celebrated news of inflows from Saudi Arabia worth $6 billion, buying in stocks across the board. 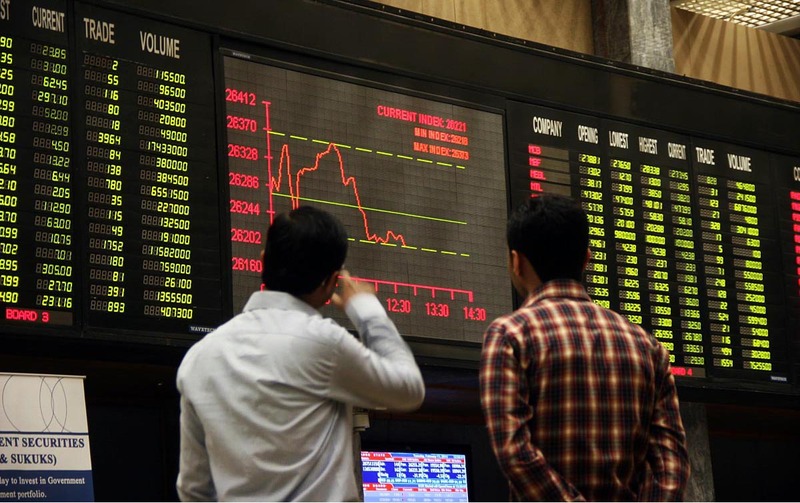 The KSE-100 shot up from the moment trading began as the positive new fuelled bullish sentiment at the bourse. At 11:15, the market was up 1,307.38 points or 3.47 per cent to stand around 39,022.28. On Tuesday, Saudi Arabia had pledged to provide $3 billion to Pakistan to fix balance of payment crisis for one year. In addition to this the friendly country also established a credit line worth another $3 billion for oil supplies to Pakistan for the next three years. “Saudi Arabia cash and deferred oil facility is far larger than expectations. This will provide the much needed support to Pakistan’s worsening external account position. This will also help Pakistan negotiate a smaller loan facility from IMF with less stringent conditions,” Sohail added. This is the second biggest surge of the current calendar year so far. Out of 291 active stocks, 258 are trading up, 28 down while five remain unchanged. Mid-cap stocks in power, chemical, bank and cement sectors are leading on the volume chart.